Daily mixes, hundreds of playlists, discovery weekly, and social features make Spotify the best streaming music app. Music artists are getting an all-new way to promote unreleased music thanks to a new feature Spotify is rolling out his week. Getting a song onto one of Spotify’s curated playlists can give a big boost to an artist or band’s visibility on the platform. So starting today, members with a Spotify for Artists account can submit unreleased music directly to Spotify’s editorial team for playlist consideration. Erin Sarofsky created this video on an iMac Pro. Apple asked six filmmakers to create short videos that highlight the cababilities of the recently-released iMac Pro. The results debuted today: trippy, abstract films that are mesmerizing to watch. All are quite short (under 30 seconds) and include a quick plug for the computer, and so could be turned into advertisements, either online on TV. While the latest version of Apple’s fantastic (and free!) music production suite, GarageBand, has lost some functionality like podcasting and Magic GarageBand, it still has plenty to recommend it for those new to music or old vets alike. 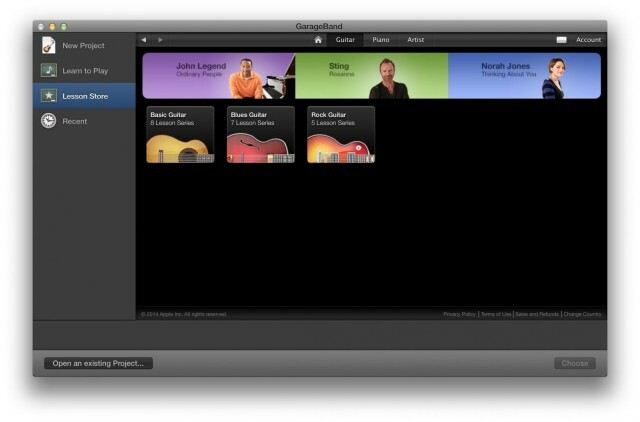 One of these cool features is the Learn to Play function, which has some pretty good basic music tutorials baked right in, along with the capability to purchase videos from hit artists like Sting and Norah Jones, who teach you how to play some of their famous songs. It’s a pretty heady set of music learning; here’s how to access it. Getting really good at your instrument will take more than watching a video or three, but this is a great start if you want to try your hand at the guitar or piano. When Apple announced iTunes 11, they told us that they would totally get it launched by the end of October. Then, at the end of October, they said they’re gonna need more time, but they pinky-promised they would get it out in November. For real. Based on the history of Apple’s software releases, we estimated that the most likely date for Apple to release iTunes 11 would be November 16th, but that date has obviously passed. 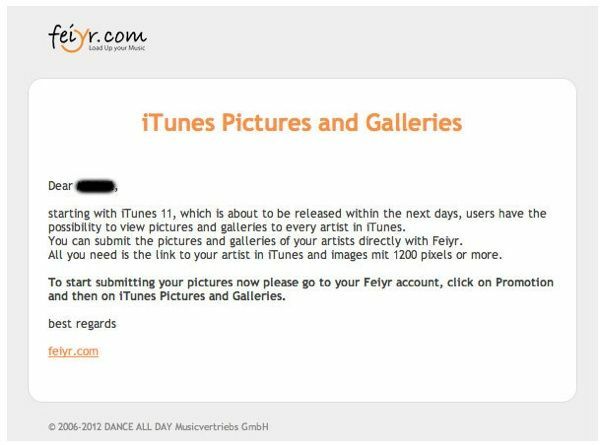 However, it sounds like Apple is finally ready to release iTunes 11 in the next few days, because artists are getting emails telling them to get ready. 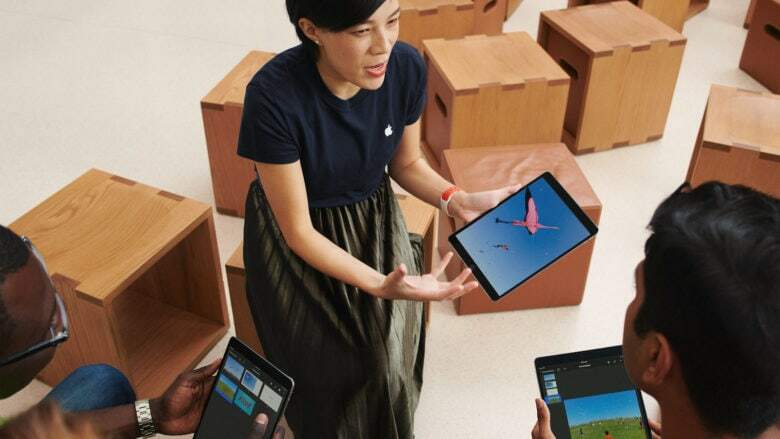 Is that MacBook Pro you're wearing? Unboxing a new MacBook — or indeed any new Apple product — is a pretty exciting experience that most of us only get to enjoy once every few years. But thanks to a team of artists from Melbourne, Australia, you can enjoy the scent of a brand new MacBook Pro every day. 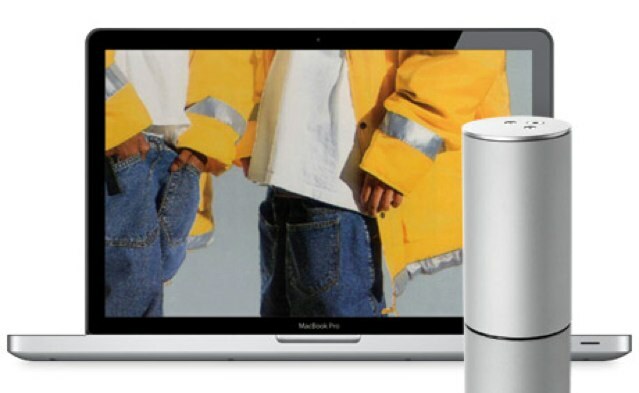 Gavin Bell, Jarrah de Kuijer, and Simon McGlinn have teamed up with Air Aroma to create a new perfume that smells just like a new MacBook Pro. Are you fed up with listening to the same old albums all the time? Sure, that UB40 compilation you made in 1983 has some pretty decent tracks on it, but wouldn’t you like to discover something new? 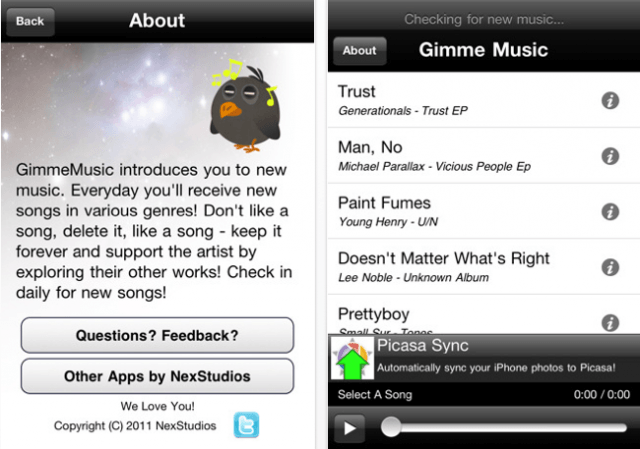 GimmeMusic for the iPhone is a free app from NexStudios that will help you discover new music. The beauty of this application — apart from that ‘free’ price tag — is that it’s incredibly simple to use. In fact, all you have to do is listen. David Hocknet is considered one of the most influential British artists of the 20th century and an important contributor to the 1960s’ Pop Art movement. He’s now doing paintings on his iPad. The only problem? Many commenters think they’re junk.